HONG KONG, Apr 30, 2018 - (Media OutReach) - Global technology solutions provider Arrow Electronics, Inc., today announced that it has been named to HR Asia's "Best Companies to Work for in Asia" in Hong Kong for 2018. This follows last December's announcement in which Arrow was named by the same publication as the "Best Companies to Work for in Asia" for 2017 in Singapore and Malaysia. 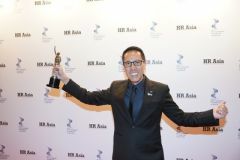 Arrow was also recognized by HR Asia Awards in Hong Kong and Singapore, respectively, in 2015. Based on HR Asia's own proprietary survey encompassing employee feedback alongside presentations from management, companies were also judged by an independent panel of industry experts, academics, journalists, and government representatives. "Many of the winning companies have workplace practices that are the best in the world, with their employees enjoying job high satisfaction. These companies think beyond policies and focus on developing their talents and establishing balanced work-life culture," said William Ng, group publisher and editor-in-chief of Business Media International, the publisher of HR Asia. "Arrow is honored to be recognized once again as HR Asia's Best Companies to Work for," said Simon Yu, president of Arrow's components business in the Asia-Pacific region. "We are committed to building a fulfilling and inspiring workplace for our employees to thrive and excel as we guide our customers, technology suppliers and business partners to navigate a complex world, transforming innovative ideas into influential and practical technology solutions that improve people's lives." The judgements are based on three main categories of corporate life: employee engagement, workplace culture and staff development opportunities, measured in part by the company's employee turnover rate, employee growth rate and workplace accident rate, among other criteria. Arrow scored higher than the industry average in the areas of "Heart", "Mind" and Soul". Vivian Kwok, Arrow's vice president, human resources for the Asia-Pacific region said, "Arrow fosters a diverse and inclusive environment that encourages an open exchange of ideas, where all employees are valued and respected. We continue to build out our human resources strategy and capabilities that enable us to enhance employee experience, advance our talent management, and leverage digital technology tools in support of the company's sustainable growth and development." Arrow was also awarded with "5 Years-Plus Caring Company Logo" by the Hong Kong Council of Social Service (HKCSS) last year, recognising the company's continuous commitment to caring for its staff and capitalising on its strengths and resources to give back to the community for five consecutive years. Arrow Electronics is a global provider of products, services and solutions to industrial and commercial users of electronic components and enterprise computing solutions. Arrow serves as a supply channel partner for more than 150,000 original equipment manufacturers, value-added resellers, contract manufacturers, and commercial customers through a global network. The company maintains over 300 sales facilities and 45 distribution and value-added centers, serving over 80 countries. Learn more at fiveyearsout.com.